1) What Calvin’s god “Rendered-Certain” is what he permits. 2) What Calvin’s god does not “Render-Certain” he does not permit. With these truth statements established, we can forward a logical argument for the consequences of creaturely sin, when it is the case that Calvin’s god “Renders-Certain” such sin. Let [X] = creature [C] performing sin [S]. Let [NOT X] = creature [C] refraining from performing sin [S]. Now let us say it is the case that [X] is “Rendered-Certain”. Thus it logically follows that [NOT X] is not “Rendered-Certain”. And from (1) above, since [X] is “Rendered-Certain” then [X] is permitted. And conversely from (2) above, since [NOT X] is not “Rendered-Certain” then [NOT X] is not permitted. [C] Performing [S] is permitted, by virtue of being “Rendered-Certain”. [C] Refraining from [S] is not permitted, by virtue of not being “Rendered-Certain”. and then judging the child for not leaving the room. You are urged therefore to read with good will and attention, and to be indulgent in cases where, despite out diligent labor in translating, we may seem to have rendered some phrases imperfectly. For what was originally expressed in Hebrew does not have exactly the same sense when translated into another language. Not only this work, but even the law itself, the prophecies, and the rest of the books differ not a little as originally expressed. He urges caution in reading his work. This work incorporates various sayings found in Israel. It makes at least two allusions to outside works, Aesop’s Fables (Sir 13:2–3) and The Egyptian Satire of the Trades (Sir 38:24-39:11). The work seems to show familiarity with outside literature. Within Sirach, there are various omniscience claims about God. In Sirach 15:18 God is said to see everything. The picture is a common one in Jewish writings in which God is watching everything as it occurs. God’s “eyes” are said to be on those who fear Him, signaling God’s protection of his own people. The statement appears to clarify that God knows all deeds of man, even though that man might not be God’s. Sir 17:19 All their works are as the sun before him, and his eyes are continually upon their ways. Sir 17:20 Their iniquities are not hidden from him, and all their sins are before the Lord. Sir 17:23 Afterward he will arise and requite them, and he will bring their recompense on their heads. Sir 17:24 Yet to those who repent he grants a return, and he encourages those whose endurance is failing. In Sirach 17:19-20 God is said to see the works of man as the sun lights up the day. Whereas the Sun gives vision to people, God is able to see as if the Sun is always lighting everything. God records man’s sins. The context is God’s judgment. If man does not repent of his sins then God will punish them in measure. Sir 23:19 His fear is confined to the eyes of men, and he does not realize that the eyes of the Lord are ten thousand times brighter than the sun; they look upon all the ways of men, and perceive even the hidden places. Sir 23:20 Before the universe was created, it was known to him; so it was also after it was finished. Sirach 23:18-20 concerns itself with the impious man. A common claim in Israel was that God does not see man’s sin. In verse 18, the reason the impious man believes God cannot see what he does is that he does it in the dark. God’s omniscience, to the impious, was thought to be a function of God’s visibility during the daylight. The author counters this by ascribing a light to God’s eyes. In these verses, God’s eyes are said to burn 10,000 time brighter than the Sun. The Sun is not the source of God’s knowledge. God’s eyes generate their own light, which sees all things. Zeus also is ascribed three times ten thousand spies on Earth who spy on his behalf. Of course, in Israel, Yahweh is not ascribed monstrous eyes. He is not given a multiplicity of eyes, and when the Bible does talk about his eyes (i.e. his seven eyes in Zec 4:10) it is more likely referring to angels of God who act as spies. Instead of having ten thousand eyes, Yahweh’s eyes burn 10,000 times brighter than the Sun, suggesting a visual omniscience or a figurative claim that nothing in secret will be hidden from God. Sir 34:16 The eyes of the Lord are upon those who love him, a mighty protection and strong support, a shelter from the hot wind and a shade from noonday sun, a guard against stumbling and a defense against falling. Verse 34:16 describes the particular focus of God’s omniscience as being towards the fate of those who follow him. God watches His people and protects them and provides them comfort. This mirrors Sirach 15:19, in which God pays particular focus on those who fear Him. Sir 39:19 The works of all flesh are before him, and nothing can be hid from his eyes. Sir 39:20 From everlasting to everlasting he beholds them, and nothing is marvelous to him. Sir 39:21 No one can say, “What is this?” “Why is that?” for everything has been created for its use. Sir 39:22 His blessing covers the dry land like a river, and drenches it like a flood. Sir 39:23 The nations will incur his wrath, just as he turns fresh water into salt. Sir 39:24 To the holy his ways are straight, just as they are obstacles to the wicked. Sirach 39 might contain a claim of exhaustive divine foreknowledge. God is said to see everything. He sees everything “from everlasting to everlasting”, which could be a claim that He sees the entire future or it is a claim that God watches everything always. God is said in Sirach 42:21 to be from “everlasting to everlasting”, a common claim in the Hebrew Bible. The phrase possibly could mean that while God is living everlasting to everlasting that He sees all. There is also a hint that nothing takes God by surprise. Verse 20 says “nothing is marvelous to him”. This could be another indication that the author has exhaustive divine foreknowledge in mind. Alternatively, it could be due to mankind not being able to build novelty (as Ecclesiastes 1:9 claims, “Nothing is new under the Sun”). This passage goes on to affirm some sort of divine determinism. God makes everything for a reason (could this be why God is not taken by surprise?). The same resources God uses for good for those who love him, God uses for evil for those who reject Him. Nothing happens outside God’s providence. This is not to be confused with individuals not having free will, as the idea seems to be that people can repent of their evil and be forgiven (Sir 17:24). Sir 42:16 The sun looks down on everything with its light, and the work of the Lord is full of his glory. In Sirach 42:16, omniscience is ascribed to the Sun in a figurative sense. The Sun illuminates all God’s great works. This phrase “looks down on everything” is a type of light-based omniscience that the impious would ascribe to God. Yes, God knows everything, but because He sees everything in the light. The phrase was limited to this understanding. The author of Sirach rejects this. The Sun might be omniscient in a sense, but God is much more so. Sir 42:18 He searches out the abyss, and the hearts of men, and considers their crafty devices. For the Most High knows all that may be known, and he looks into the signs of the age. Sir 42:19 He declares what has been and what is to be, and he reveals the tracks of hidden things. Sir 42:20 No thought escapes him, and not one word is hidden from him. Sir 42:21 He has ordained the splendors of his wisdom, and he is from everlasting and to everlasting. Nothing can be added or taken away, and he needs no one to be his counselor. In Sirach 42:18, God is said to “known all that may be known”. This seems to mirror a common Open Theist claim about God’s omniscience. God’s knowledge is limited to actual facts. God is said to search people and figure out the “signs of the age”. These statements do not appear to affirm exhaustive divine foreknowledge. God is then said to declare “what has been and what is to be”, signifying, in context, God’s wisdom (verse 21). This also could be a function of divine determinism spoke about in Sirach 39:21. If this is a statement about exhaustive divine foreknowledge the surrounding phrases sound awkward. God “looks into signs” and “searches out the abyss and the hearts of man”. God is said to “consider their ways”. The concept of divine timelessness is definitely not in the mind of this author. The last statement that God “nothing can be added or taken away” appears in context of “no one to be his counselor”. Is this a claim of Platonistic perfection? It likely is rather a claim of divine wisdom, claiming that God is the wisest of all creatures. God does not need counsel. Sir 48:22 For Hezekiah did what was pleasing to the Lord, and he held strongly to the ways of David his father, which Isaiah the prophet commanded, who was great and faithful in his vision. Sir 48:23 In his days the sun went backward, and he lengthened the life of the king. Sir 48:24 By the spirit of might he saw the last things, and comforted those who mourned in Zion. Sir 48:25 He revealed what was to occur to the end of time, and the hidden things before they came to pass. In Sirach 48, Hezekiah is said to be a prophet of God. He is said to have revealed “what was to occur to the end of time.” Could this mean he revealed what was to occur “at” the end of time? This is more likely the case, as with the other prophets (specifically of the exilic timeframe). There is not word in this passage what type of knowledge Hezekiah is imparting. Is this foreseeing the future in a clairvoyant way? Are these loose prophecies which God has plans to fulfill although it is not a literal representation of the future? The context is not clear. In all, Sirach shows some signs of Hellenization, as one might expect with a text translated to Greek in Egypt. Do Hebrew concepts of omniscience and everlastingness translate well to a Greek speaker? Is the author adopting Hellenistic terms to help give the text a wider audience? Is there leeway in the text to allow traditional Hebrew theology to retain acceptability? It is hard to know the answers. The Sirach seems to affirm a visual omniscience of all things, in the context of God continued effort to watch the actions of man in order to dispense justice. God is given control over the happenings of the world, creating everything for a divine purpose, but giving individuals the opportunity to choose their own outcome in the divine play. A more prominent issue in the scholarly debate on this verse relates to the words of the angel of the Lord, “now I know …. ” On this phraseology, john Walton summarizes the key issue in the debate when he writes, “interpreters … object that God, in his omniscience, must have known that Abraham would do what he did. God, by his nature and affirmed attributes, cannot add to his cognitive knowledge.” On this issue, Walton himself suggests, “We must differentiate between knowledge as cognition and knowledge as experience. We can agree that God knew ahead of time what Abraham was going to do. But there is ample evidence throughout Scripture that God desires us to act out our faith and worship regardless of the fact that he knows our hearts.”36 Gunkel, on the other hand, addresses the apparent challenge to God’s omniscience in this verse by explaining, “The use of this concept in reference to God implies an anthropomorphism because, strictly taken, it excludes omniscience,” suggesting that this attribution of a lack of omniscience to God was simply due to inadvertence on the part of the author ofE in his crafting37 of this account. Note how both these authors work to explain how this text could possibly suggest that God is here coming to know something new, a dynamic not in keeping with the idea that God is omniscient. In other words, both authors take God’s omniscience as a given. In the world of systematic theology, this is certainly a trait that has been attributed to God. It must be noted, however, that this attribution has emerged out of theological study of the Bible as a whole, and not from this narrative itself. Once again, this is at odds with a cinematic-story paradigm in which any given text is part of a self-contained storyworld (seep. 40, above). Therefore, analysis of the omniscience of God in Gen 22:12 ought to consider evidence only from the story-world of the Pentateuch on this issue. Further, the sequentiality of all stories (seep. 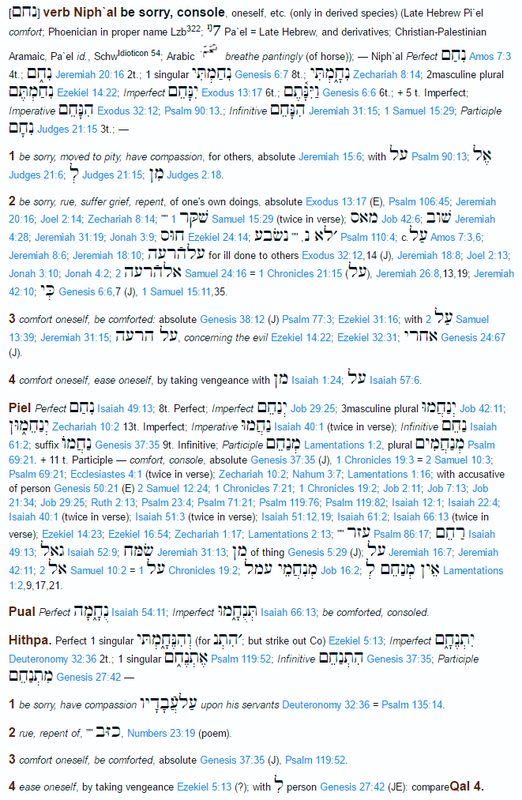 53, above) means that only evidence found in the text preceding Gen 22:12 should be considered, as subsequent evidence is not yet within the purview of a reader coming upon this verse. Third, given the range of the recital of adjectives concerning Yahweh in the stylized testimony of Israel, the primary propensity of Israel is to focus on Yahweh’s fidelity , expressed particularly in the terms merciful, gracious, abounding in steadfast love, and faithfulness. These terms, rḥm, ḥnn, ḥsd, ˒mth, saturate Israel’s speech about Yahweh and Israel’s imagination. This is not to say that other terms, including those of forgiving and visiting, are not used. But Israel’s most elemental and most recurring practice is to speak about Yahweh’s reliability and trustworthiness. (1) Rather than saying that God chose to leave the future open, I think it would be better to say that He did not create a future. In other words, God created only the “present”, and no past or future exist–not even in some meta-time that only God can see. This is called Presentism, and it is compatible both with Scripture and physics. Indeterminism is a central feature of quantum physics. My own study of time and physics indicates that there is no such thing as “time”, but only a constantly-changing “now”. I have personally verified this with physicists, including one of the leading physicists in time research. Scripture supports Presentism through as many as 11,000 verses that indicate that there are things God does not know. (I’d be happy to supply you with a representative sample of those verses, or all of them if you want.) Yet we know for other reasons that God necessarily must have all power and all knowledge (many Open Theists would disagree…but they are all dorks…just kidding), so if it appears that He does not know a thing, then it means that things simply cannot be known–like a square circle, which is nonsense. 3. Also notice the passive/middle ending “μένοι.” That means that ordained/disposed can be taken as something which was done to them (passive), in this case by the word, or something which they did to themselves (middle), in this case by allowing themselves to be properly influenced by the word. Given the context of this passage, especially in contrast with vs. 46 that uses the reflexive pronoun “ἑαυτοῦ” to say that they judged themselves unworthy of eternal life, this verb “τεταγμένοι” should be understood to be in the middle voice. Context is the only key in determining whether a verb is in the passive or in the middle, as the ending is identical. Furthermore, in order to possess genuine emotions, there must be a sense where God is with humanity within time and space. Thus, when God’s disposition towards His people changes from joy to anger, this change is due to a change in experiential knowledge. Otherwise, these emotions are nominal (in name only). If God is relationally mutable, there must be a sense where His experiential knowledge changes. This experiential knowledge does not change the Scriptural truth that God is all-knowing, it simply means that since God is with us in time, He knows in a way as He experiences time with us that He did not know before (Ware would argue). His joy, anger, etc. are real within time with us. I, however, cringe with the thought of saying, “God is not all-knowing in an experiential way.” I must concede, however, that God is really angry, joyful, etc. in Scripture. These are not mere anthropomorphisms; however, I cannot concede at this point that God’s emotions are contingent on His experiential knowledge at the moment of experience. I think there may be a better way to tie God’s real emotions to His ultimate knowledge without arguing that God must experience knowledge to possess real emotions. His emotions may be so “other” than us that the manifestation of His emotions is what we see in Scripture, instead of Him learning something in an experiential manner that He did not know in an experiential manner prior to experiencing this knowledge in time and space.